Hello and welcome to Nerd of Paradise! We’re back after short hiatus and we’re ready to get nerdy with more random topics! 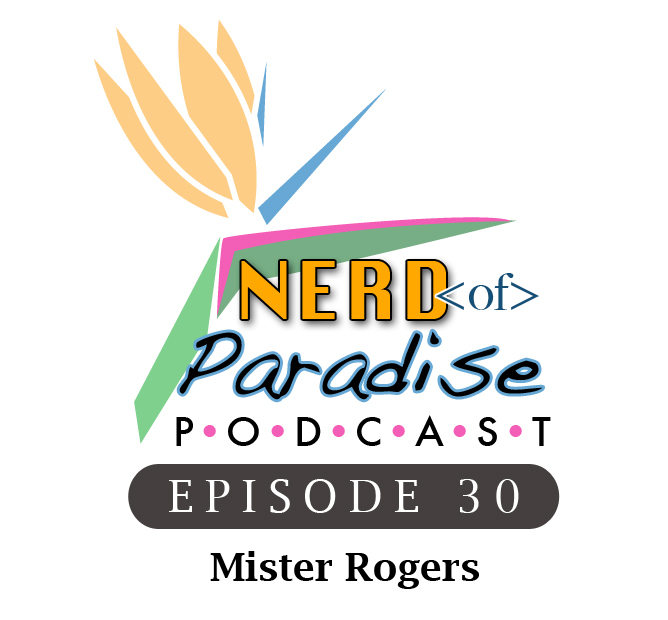 In this episode we talk about the legacy of Mister Rogers. Mister Rogers’ Neighborhood was a tv staple for multiple generations of children and the values and principles Fred Roger advocated still touch countless lives. In this episode we learn more about who Fred Rogers was and how he’s comforted millions with his philosophy of love and kindness. Special thanks to Amy Wishman for sending in her clip and Anthony Breznican for sharing his story with the world! Thanks for listening to Nerd Of Paradise!